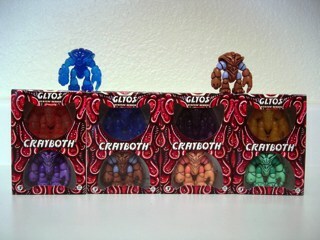 This set comes in a box, which is increasingly rare in this line. Each set includes one "clear" and one "painted" figure, and there's also a fifth set of glow-in-the-dark figures which I missed and is no longer available. 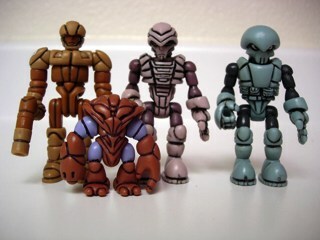 It's depressing. 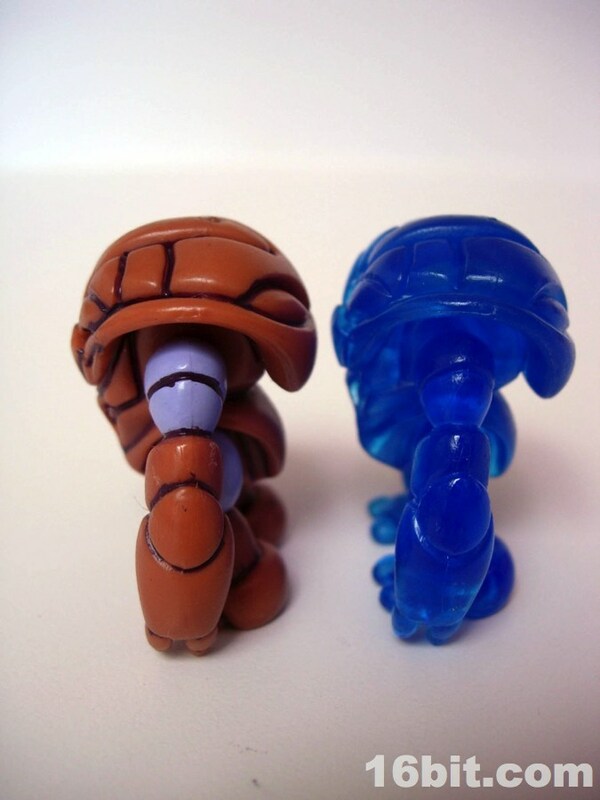 But at least I got this set so far-- one dark, clear blue figure has no paint while his companion is pink and purple with black markings filling in his various grooves and what I can only assume are eyes. 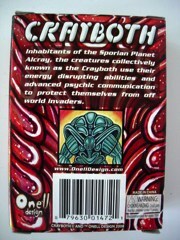 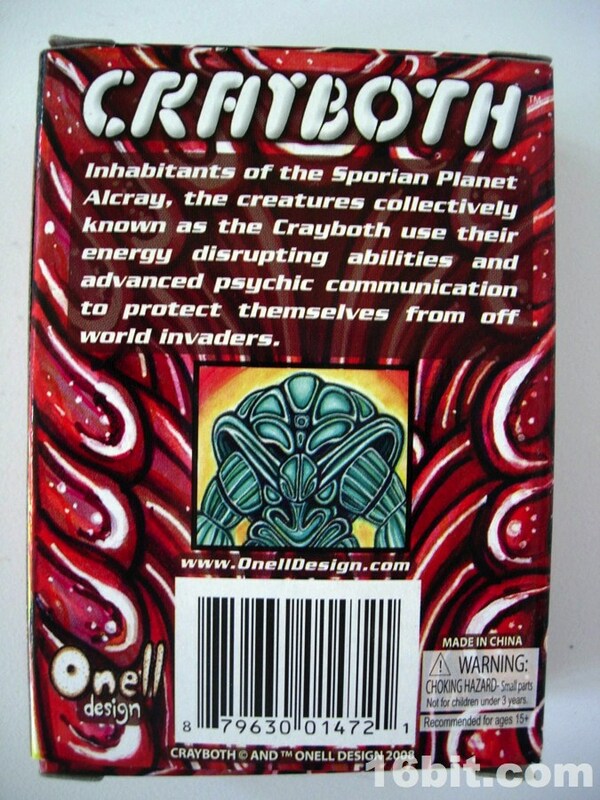 Each figure has one claw arm and one "gun" arm, and the characters are described as little psychic balls of energy-disrupting fun on the packaging. 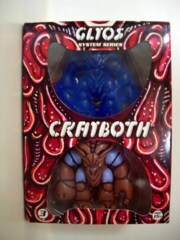 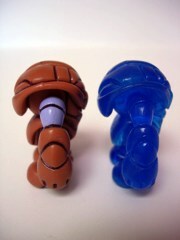 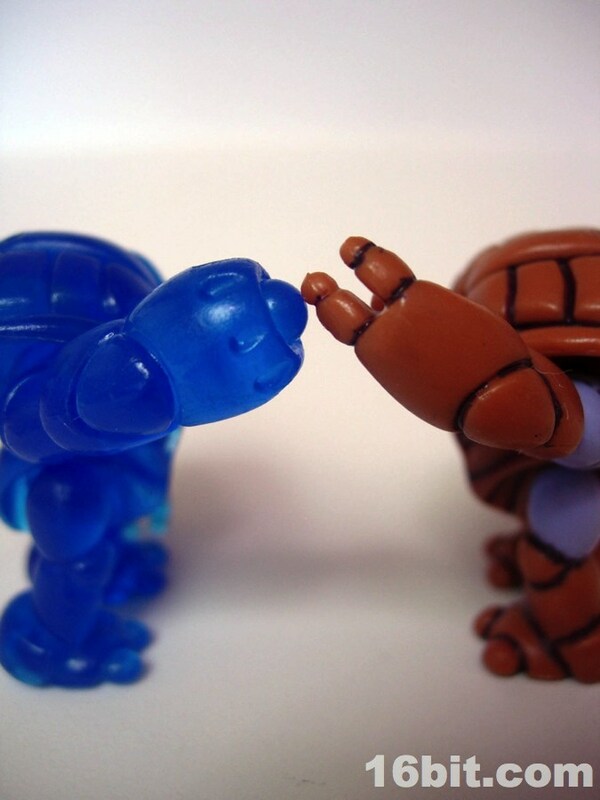 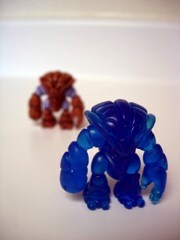 As the smallest figures in the Glyos universe (so far), each Crayboth has significantly fewer parts than his full-size cousins. 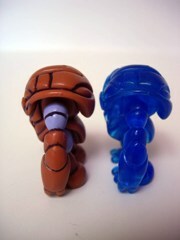 They're only jointed at the shoulders and hips, and since the head is part of the body you can't exactly pop on Govurom's head on their bodies. 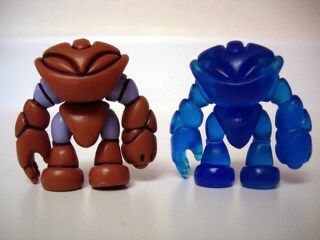 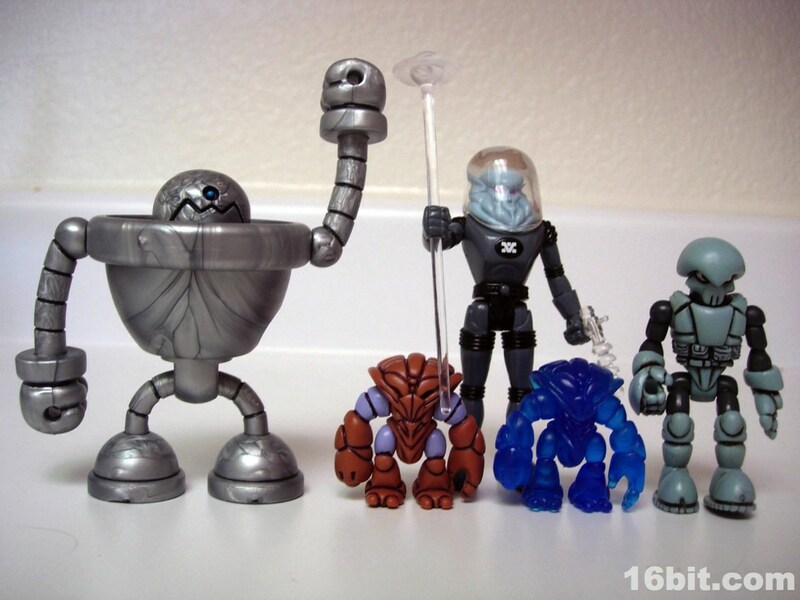 The closest Glyos-compatible figure to their size is the Alpha 7 Outer Space Men action figure, and the arms are actually just about the right size for customizing. 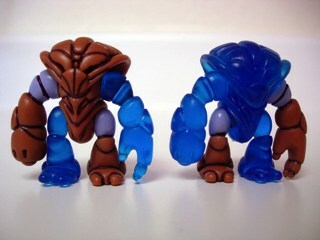 The Crayboth sculpt is pretty simple, but there are lots of nice details like segmented fingers on the claw hand and some individual toes on their feet. 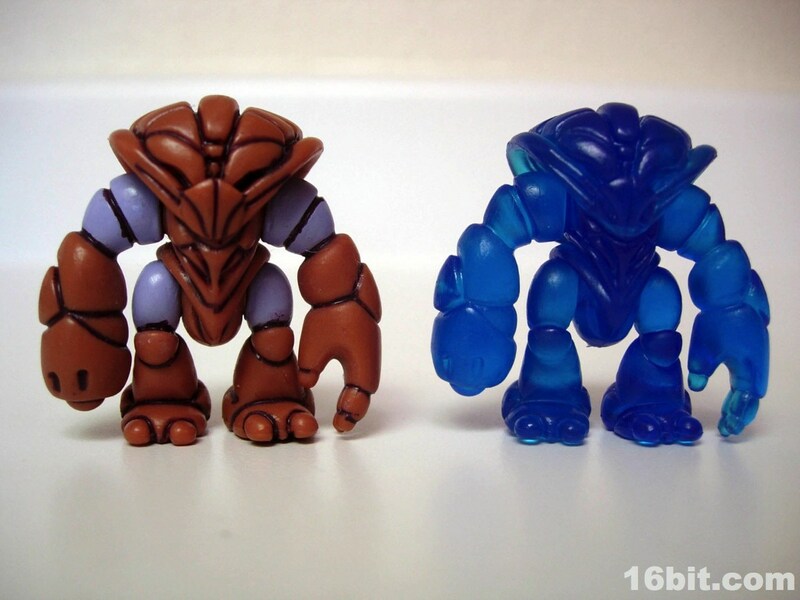 They're sized just about right to fit in with your Battle Beasts toys, or any of many "little rubber guys" toys from the 1980s or 1990s-- except these ones are jointed. With no known plans for more "mini" Glyos characters, these guys are likely to be it for a while-- which is a shame, as I'd love to see more little guys around this size. 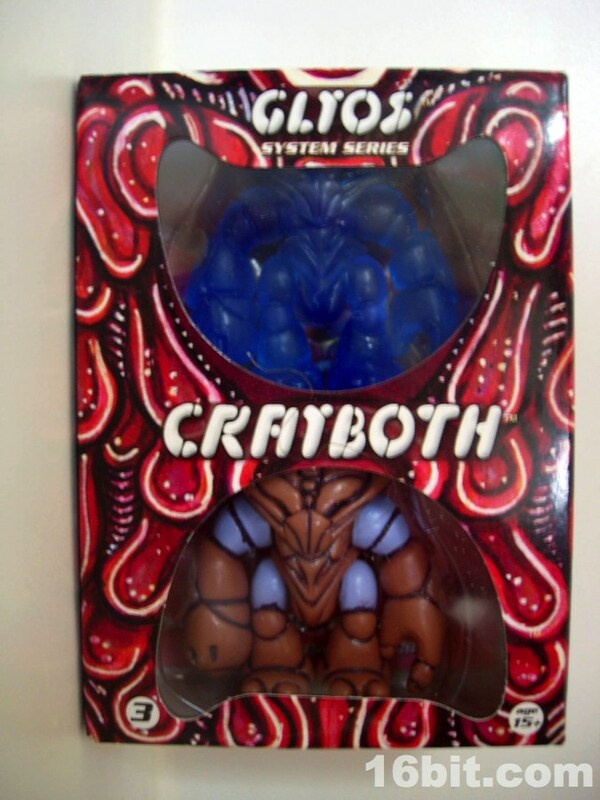 For six bucks, this two-pack comes highly recommended if you were born between 1975 and 1982. 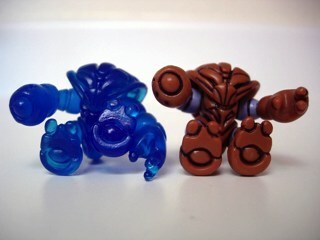 After that... they're still good figures, but these feel tailor-made to people who loved Battle Beasts or Monster in my Pocket but wanted something a little more robust.